Most people, it’s safe to assume, brush their teeth once, maybe twice a day. After breakfast, perhaps. Again before bed. Maybe in between. For years, this has been considered fine: brush your teeth a few times a day and enjoy peak oral health for a lifetime. This is kind of like thinking that slowly walking on a treadmill for a few minutes will be enough to get fit for a marathon. The truth is, brushing your teeth isn’t complex, but it’s not as simple as you may have been led to believe. Even the most thorough among us may be able to optimize their brushing routine (and in so doing their oral health) by giving a little bit more attention to this first line of defense against tooth decay, root canal infection, and gum disease. First things first, you need a good toothbrush to effectively clean your teeth. We recommend an electric toothbrush with the ADA seal of approval, but a manual toothbrush can work as well so long as the brush fits comfortably in your mouth and is used as directed. Select a toothbrush with soft bristles. Medium and hard bristles can damage enamel irreparably and may increase tooth yellowing and sensitivity. Your toothbrush or its head should be replaced every three months or as soon as the bristles are frayed. A soft-bristle electric toothbrush is relatively useless without the correct toothpaste. Dr. Mello and Dr. Tabib recommend Remin Pro®, a toothpaste with both fluoride and xylitol, a natural sweetener that has been shown to reduce risks for cavities. Regardless of the brand, it is important that your toothpaste contain fluoride - a mineral essential for keeping enamel strong. The Center for Disease Control, the World Health Organization, the American Public Health Organization, the American Dental Association, and the American Academy of Pediatrics encourage its use in both toothpaste and water. Starting with the outer surface of the teeth, brush side-to-side, making sure to hit all areas. If your toothbrush is manual, hold it at a 45-degree angle. Moving from outer surfaces to biting surfaces and finally to the back of the teeth. Brush after every meal and snack for at least two minutes. If you have eaten something acidic or sweet, wait for 30 minutes before brushing to allow enamel to recover. Drinking water during this time can help flush bacteria and acid from the surface of teeth. Floss before you brush every morning and night. It used to be assumed that flossing was equally effective both before and after brushing, but new evidence suggests the optimal sequence is flossing first and brushing after. And if you’re finishing off with a mouthwash, wait for half an hour after flossing and brushing. This allows the fluoride from your toothpaste to do its job before being rinsed away. Even if you have the most impressive at home routine, it cannot help but benefit from professional care. 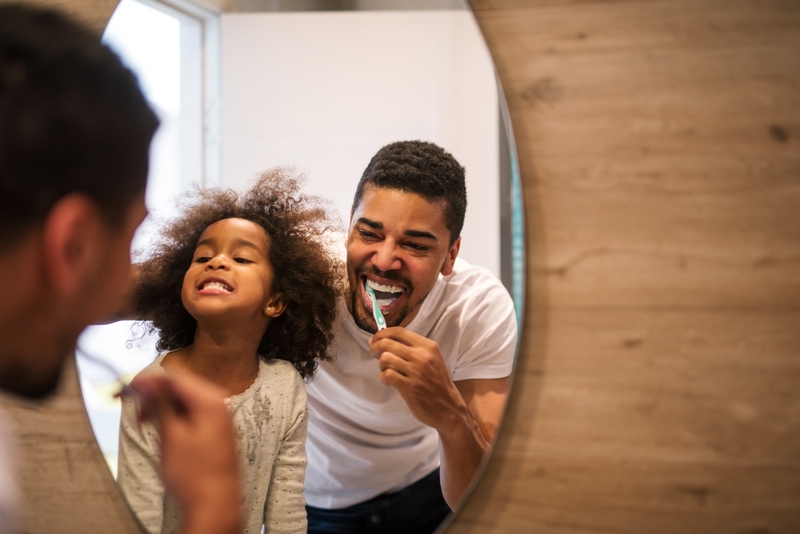 Many oral health issues can occur quickly - even in healthy individuals - making biannual visits an important part of your overall healthcare routine. Remember, issues like gum disease can increase risks for serious health problems including heart attack, kidney failure, pancreatic cancer, and dementia. The better care you take of your teeth, the lower your risk of these potentially deadly conditions. To schedule your next appointment at NYC Smile Design, please call 212-452-3344 today. During this visit, we can discuss ways for you to optimize your daily routine and answer any questions you have about the best and most effective ways to brush your teeth.